The Similana Resort is located in Khao Lak, a stunning seaside coast for vacationers seeking to escape the tourist crowds of Phuket Island. A true getaway - far from noise, pollution and bustle - where your relaxation and comfort are assured. 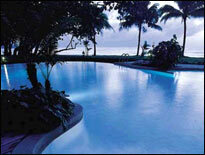 Similana commands infinite views of which sand beaches magnificent rock formations and lush vegetation. Our resort in one of the most beautiful place in the South of Thailand, picturesque and relaxing surrounding that escape from the mass tourism, developed and built Thai style in harmony with nature. Similana Resort offers you a holiday you will never forget, natural beauty, fresh air, pristine beach and wonderful fresh seafood are all composed in a truly romantic atmosphere in the national park of Phang Nga (where the beach meets the jungle). For adventure seekers, thrills are never far. - Child age 3-12 years old, staying in the same room as parents without extra bed are free of charge (Maximum 1 child). Breakfast is compulsory at 50% discount. - Free breakfast for child under 3 years. - Early check in is subject to the availability of guest room. - The cancellation fee will be charged for any cancellation late than 7 days (not including Sat, Sun & Public Holidays) notice prior to the scheduled arrival, this will be also applied for any no show full charge. - No refund for any early check-out. - Free entertainment "Siamese Night" every on Monday night, combined with Thai classical dances, Thai Folk dances and Traditional Thai music and also reasonable price for a set of variety of Thai food on tray called "Kan Tok Dinner" between 1 Nov 04-31 Mar 05. 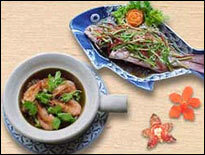 - Free class Thai Cooking every on Friday night between 1 Nov 04-31 Mar 05. 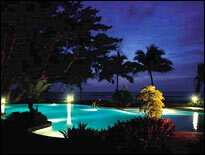 - Seafood Barbecue every night on the beach between 1 Nov 04-15 Apr 05. 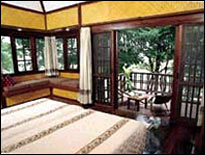 - 16 Similana Lodges air con., TV, H/C water, Bath tab, general stylish of hotel rooms. Room space is 5 x 7 sq.m. included Bathroom and balcony space is 4 x 3 m.
- 26 Jungle Tree Houses air con., H/C water, Shower, its similar to Bungalow in very way but slightly smaller, 2.30 m off the ground, using wooden staircases, private verandah, panorama view, most of them located at in the rain forest, facing to the ocean and just a few minutes walk to the beach. 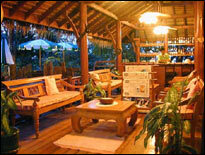 Room space is 4 x 6 included Bathroom and balcony is 2 1/2 x 4 m.
- Beach Front Tree Houses air con. 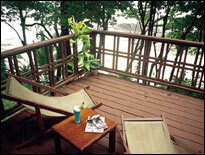 They are exactly style same as Superior Tree House Sea View in very way just different in location. 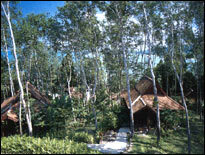 - 13 Deluxe bungalows air con., TV, H/C water, shower, built Thai style in harmony with nature. 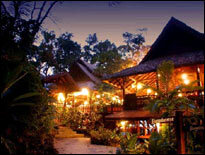 They are located at almost hillside and over looking to the Andaman Sea. - Safe deposit boxes (Front desk box). - Reception counter 24 hours service and Transfer service arrangement as request. - Sightseeing & Tours and Diving counter.